Hi guys! 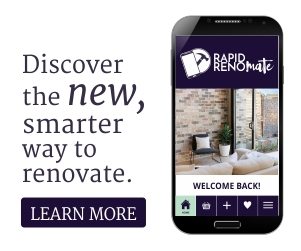 It’s Naomi Findlay here, your Rapid Renovation Expert. I was lucky enough to sit down with The Reno Show’s resident chippy, Rowan Howard, to break down how to choose windows that are practical but also look great! These windows are great for airflow and thermal insulation, as well as being incredibly beautiful. However, it is often difficult to put screening on these windows, which is a challenge for insect control and security. Bi-fold windows are incredible for opening up a space and connecting inside living with outdoor living. These windows are also easy to secure with drop bolts. It is important to consider the implications of this window both open and closed as they can often pose as obstacles to walk ways. Bio-folds are also one of the most expensive windows. Awning windows (my favourite!) are amazing as they can be left open when it is raining and can be locked open for security and ventilation. It is important to note that awning windows do need an internal screen for bugs and security. Double hung windows are great under an awning as the top window can remain open when it is raining. However, be sure to research regulations from the Building Code of Australia for double hung windows on a second-story or next to a pools, to comply with safety rules. Sliding windows are Australia’s most popular, affordable and practical window. They are great for security and bug screening, are available in a large range of colours and styles, and they can be locked at certain points open for constant ventilation. Unfortunately, in locations with extreme weather conditions it is important to note that sliding windows are not as thermally efficient as hinged windows due to the nature of their operating system. Always be sure to assess and account for window replacements in your initial reno budget as they can be extremely costly. I also recommend calling in the professionals to install your windows. A professional team will ensure your thermal, security and weather proofing is set to last the test of time. After some more reno tips from the pros? Check out more here!